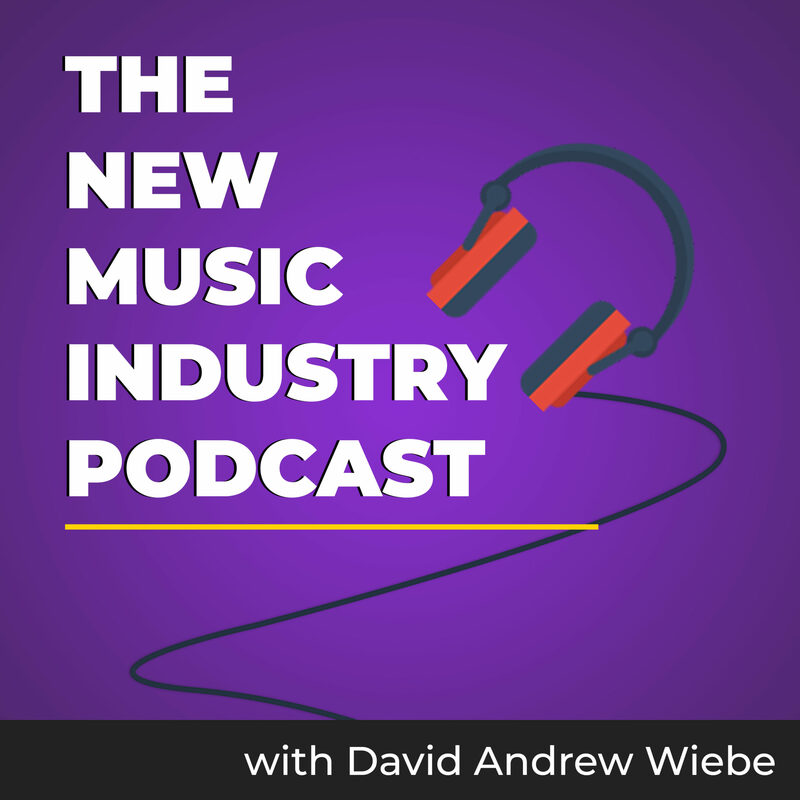 This is a transcription of the fourth episode of the David Andrew Wiebe Interviews and Music Business Podcast. David: This is David Andrew Wiebe podcast episode number four for October 23rd, 2009. With me here today is special guest, Patrick Zelinski. How are you today, Pat? Patrick: Hello, homie. How’s it going? David: Pretty good. I’m going to be interviewing Pat in just a moment,but first I have some announcements to make. I’d like to give a big shout out to my friend, Lucas Chaisson. Thanks again for coming and being a part of the podcast. I have a couple of shows coming up next week; on October 29th, I will be performing at Kawa Espresso Bar with my friend, Christopher James Connelly, and on October 31st, I’ll be playing a special Halloween show at The House Coffee & Sanctuary so make sure to mark those dates in your calendar. I also have a couple events coming up in November; the first being a performance at Good Earth Cafe on November 7th, and that will also be with my friend, Christopher James Connelly. On November 14th, I’ll be leading a guitar workshop in Cochrane; this will be a songwriting workshop so if you’d like to learn more about that, please visit my website at daw-music.com. You can also check out Pat’s website to learn more about this event. His website can be found at overturemusic.ca [now defunct]. I am alsos cheduled to play at The House Coffee & Sanctuary on November21st. And my friend, Christ Naish hosts an event called Gonzo Night. He usually features a number of local artists in addition to himself. If you’d like to keep updated on all of those events, please refer back to my website. I also made a blog post about mind mapping recently, and if you’re not familiar with mind mapping and if you’re in the habit of making lists, I would definitely encourage you to check out this new post which can be found at davidandrewwiebe.com [defunct]. And recently, there have been a lot of people following me on Twitter, so I just wanted to say thanks to everyone who has taken interest in what I’m doing. I’m not sure if this is because of my podcast or if it was totally random, but if you happen to be looking for me on Twitter, my username is Dawmusic with a capital D; all the other letters are lowercase. I also have a YouTube channel, so if you search for ArchnemesisX with a capital A and a capital X at the end, you should be able to find me. No spaces in that name. I don’t have much up there besides video game and movie reviews, but there is definitely more to come. So, as I mentioned earlier, Pat runs a business called Overture Music and, he is a music teacher, guitarist, musician extraordinaire. Pat and I are currently learning Pro Tools together. Are you enjoying that process, Pat? more fun than the corporate guys they have behind those control videos. But altogether, it’s been a very enjoyable process, and I can definitely see myself doing this for a long period of time-recording and producing music. David: Awesome. What sort of improvements do you think they should make to Pro Tools in future editions? Patrick: It’s amazing. When I’m starting out and when I’m just trying to do a simple recording of a song or go through the basic steps,there is always something that goes wrong like trying to find a regions list. It doesn’t explain where it is or where to find it. There’s this scroll button at the bottom; eventually you figure it out. But there are a million little things that end up causing a lot of problems to get started and are very discouraging for one studying the metronome. It’s a process that can be a lot easier.So on getting started with recording a song; I think maybe there should be a tutorial that is a lot simpler. Once you get going,yes; you have to delve into a lot of technical elements and that’s understood, but for getting started, I think it’s a little discouraging. David: Yeah. Those of you listening to the podcast can’t see me nodding away in agreement with what Pat is saying. I definitely think there could be some improvements, but it’s a cool program.How do you like all those plugins? Patrick: All the plugins. The plugins are fun. I haven’t been able to improve the sound too much with the plugins that came with Pro Tools yet, but that comes with trial and error. Some plugins I bought: I recently bought AmpliTube, which is a guitar amp modeling program and it’s awesome. The tones you get out of that are quite extraordinary. You plug the guitar directly in and then you have choices of several amp models, effect pedals, effect rigs. Different cabs, the microphones you use. It’s a pretty neat program and very easy to use. Saying that, it tends to take up a lot of space and we have buffering problems as we’re going, but I think that’s going to come with getting a separate audio drive for the computer before I install more plugins in the future. David: I definitely agree that AmpliTube is a pretty awesome program having tried it myself. You get some great tones out of that.We’ve also experienced some frustration with installing plugin stoo, right? Patrick: Oh, yeah. I’m a big fan of violins and cellos and different things in music like that. I think that a symphony sound can add a lot to a lot of music, especially instrumentals and acoustic pieces. There is one Philharmonik Orchestra plugin, and it’s been a nightmare to unplug. I’ve been getting tech support with IK Multimedia and they have not even given the solution to why it’s not working, why it’s not showing up in my Pro Tools plugins list. Technical problems for sure. I guess I’m just not computer literate; it’s something I have to learn. I’ve always been one to sit behind my guitar and play a lot, but I felt as a musician this was a step I had to take. It’s a learning process. David: I guess with anything, there’s a learning curve and to be a musician that exemplifies all the qualities you need in the industry today, it’s good to have that recording experience behind you as well as songwriting and all that kind of stuff. Patrick: Definitely. You can even take different things from this and apply it to your stage show. it’s amazing how much more I started listening to my sound ever since I’ve recorded, and have heard stuff being played back to me; I started changing my whole effects rig altogether and have started experimenting with the sound that comes out of my amp a lot more. 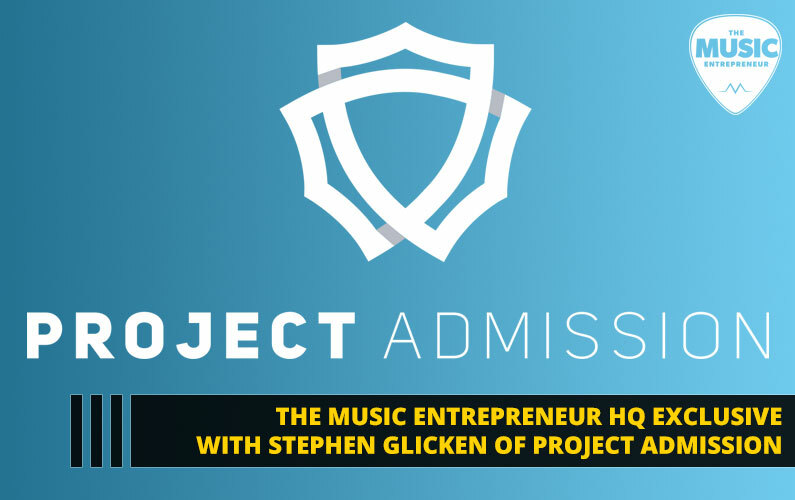 It’s a very cool process, and I find it’s helping me grow in a lot of areas as a musician. I’ve realized the importance of sound. Sound is in everything;we tap a desk and there’s sound. It’s incredible. Once we set up a microphone, it’s incredible how much the structure of the room affects the sound. Every object how it’s placed in the room affects the sound because a microphone is so finicky. It picks up absolutely everything. There’s all these objects around us,there’s this environment around us where everything is full of sound and it picks it all up. David: I’ve experience that with recording Shipwrecked as well. Not being happy with a lot of the dirty tones I got on that. It’s a matter of a lot of experimenting and trial and error and knowing your gear seems to be a big part of that as well. Patrick: Definitely. I remember watching Pink Floyd’s Live at Pompeii and the number one point they stressed in that video was know your gear before you build it. Don’t let the machines you use control you. You have to have complete control of them and to be able to use them however you want. You are the artist; you are their master. That’s how it’s got to be. David: That’s a really good point. Where are you interested in taking that? Taking the recording experience you gain from this and the technical aspect of it? Patrick: I want to be the best producer the world has ever seen. That’s not it at all. I’d love to work with artists and have the experience to work on projects with people. One of my favorite things as a musician is to tap into other peoples’ work and totap into other writers’ work and do what I do within that. I think producing is just something I feel I’m born to do in asense, and I’ve found it now. I definitely want to be. I don’tknow if there’s a market to do it fully as a career, but Idefinitely plan to train and make a job of it for sure. I love it also because the hours are versatile. You take on a project and you can tour around that. I think it’s a great job to do if I was touring with a music band or project. I’m teaching right now; it’s not so versatile. You can’t just tell your students, “See ya, I’m going on tour.” You’re committed to them and you’re committed to that time. With producing, I feel like you get a greater sense of being your own boss and doing things as you please. You’re not controlled by time necessarily as much. You’re not tied down by as strong of a schedule. David: And that’s a big part of why Pat and I get along so well because he and I have a similar vision. The vision we have here at Red Flame is working with artists and putting that music first, and I think that’s missing in a lot of the music industry. Having that passion for the music rather than the business, the money, all that kind of stuff. Patrick: Definitely. Most producers just produce the way they do and become who they are to be marketable. It all fits a niche sound;they have a formula that’s meant to be driven out to masses and that’s what I’m not about. I’m in music to grow and to have growth in music and not fit into a formula where the sound is already known before it’s recorded. It’s a process. It’s got to be a process. David: I was listening to a podcast not too long ago in which they were talking about the popular music as coming from X Factor and American Idol and shows like that and found it interesting. They have to make money; if they don’t make money at it, they can’t pay their staff, and there’s all kinds of ramifications of that. So I understand the legitimacy of that as well. I think what we’re trying to convey is we like artists who maybe don’t have the biggest of followings, who maybe aren’t going for corporate sellout type music. We like people who genuinely like music and who are passionate about it. So talk about your experience as a guitar player. How did you start? Patrick: How did I start? I was a very lazy high school student. I didn’t attend a lot of classes; I was very into sports at the time. I started in about grade 10 as an option in high school.My mom had a guitar that basically had bass strings on it and it was a pile to say the least. But I always loved music and I always listened to a lot of popular music at the time because I think everybody starts with what they’re first introduced to as popular music and you branch out from there. I listened to a lot of Backstreet Boys to Collective Soul. A wide range of music.Even Live; I really liked the Throwing Copper album at the time.Some stuff even with guitar in it. Did I say Backstreet Boys? Oh gosh. Cut. David: Did you actually learn some of their songs? Patrick: On guitar? No. Actually, no I have. When I was at camp, we did a cover of-I can’t remember which one it was. I was playing the guitar for it. So I took it as an option and the first year, I wasn’t totally into it. I think I passed the class with a 53 because I just saw it as a slack class. But everybody’s first year on guitar is frustrating getting over hurdles. Once I got over hurdles, once I was able to connect chords and able to make barred shapes, in the second year I was flying. I was getting 80s in the course, and it was a passion that I never let down since then. That’s how I got started. Did you want me to go on about what has led me up to becoming a teacher? David: Sure. Yeah. Talk a little bit about that too. Patrick: I just don’t want these questions to be prolonged. After highschool, I didn’t compete as much with sports, and I was playingin a band called Noriah. We won a songwriting contest at thetime. We had a lot of success; we started doing shows in ThunderBay, Ontario and were starting to work on our first album. Inthis time, we’ve had a lot of offers to play at Guelph, the folkfestival down there. We opened up for a few acts in Thunder Bay.Major acts including Pilot. I can’t even remember who else. and drums oriented. I found the whole vision of the band wassuffering through that process. It was something I had to getout of. I moved here and decided I needed to work on becoming astronger player so I hired different instructors. I hired aguitar player to work on my rock playing, I worked with a guitarinstructor at the Royal Conservatory to get into classicalguitar where I got to about grade A, and I started attendingclassical guitar conferences and performances and things likethat. I was planning on attending school and in the process, I overpracticed and had an injury with tendonitis and repetitivestrain. It changed the way I thought about music altogether. Itwas meant to happen. I realized I need to be creative. Withclassical music, it’s very strong technically, it’s very strongtheoretically as well. But, it just doesn’t teach you how totake what you use and apply it with being your own person and tobe unique, so I needed to step away from that and I startedwriting music and in this time, I was building up my enduranceto play. It was a process I needed to grow. places. Recently, I’ve been writing multitudes of music andtrying to find the right people to play with. David: Talk a little bit more about tendonitis and your experiencewith that and what people can do to prevent it. And also, ifthey already have tendonitis, how they can start to find some healing from that. Patrick: Prevention, I think a big thing for anyone doing musicprofessionally is massage, acupuncture; different things thatyou go every couple weeks just to keep the muscles loose in yourhand and to keep good posture while you’re playing. Make sureyou’re playing with a strap. Vitally important. you’re taught not to work harder than you have to. I think a lotof guitar players when they’re playing chords, they’re grippingtheir guitar. It’s very important to only put as much pressureon the frets and only use as much work and have as much workflow through your body as is necessary to play. It will make youa better player and it’s great in preventing injuries for sure. People who have it, I think every injury happens for a reasonand it’s about finding that reason and once you come to termswith that, if you’re meant to play music, you’re meant torecover, you will. You have to believe, but you have to believeit happened for a reason and find that. David: Very good. I like that. I also found it interesting what yousaid earlier about beginner guitar students tending towards thepop music. I have a similar experience; at the time what waspopular was Santana and Rage Against the Machine, so someimmediate guitar heroes for me were Santana and Tom Morello andguys like that. I still enjoy Tom Morello’s playing to this dayfor sure. David: I don’t listen to him as much. I still like his playing, but Idon’t work on that stuff. 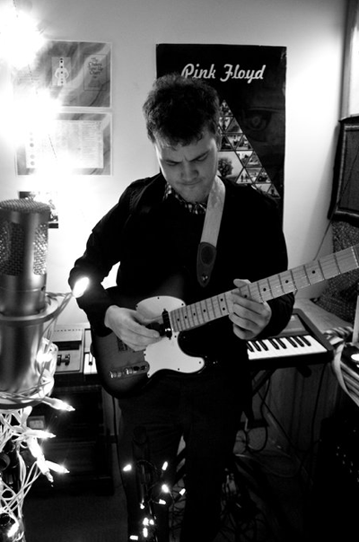 Patrick: You might have been introduced to guitar playing instantly.Guitar playing is very popular. Classic rock today is what’sbeing played on so many radio stations. Everyone likes it morethan modern rock. It’s way better. That’s what my dad got me into. He played me a whole bunch ofrecords and he said hey, Hotel California is way better thanthat garbage you’re listening to on MTV. It didn’t take long torealize this. I think as a guitar player, as you play, yourtaste in music is always changing, it’s always evolving. Itopens up the doors to playing so many different artists andlearning from so many different artists and you become more andmore open minded the more you play. David: Do you have any other tips for guitarists out there? David: Yeah. People who are starting out or people who have a certainamount of education or training but are still trying to findtheir own style and their own way of approaching the instrument. Patrick: I think everybody is different. If someone is looking to do itprofessionally as a performer, then it’s a very competitiveroad. I wouldn’t necessarily have any advice for that. Ifsomeone is looking to be a songwriter or to create music orplaying in a band, I think it’s important, number one, not tocarry any ego because it ruins the song. Learn to play withother musicians. Learn to tap into what they do. Don’t overplay; don’t think that you have to be Jimmy Page orwhoever your idol might be overnight. That doesn’t happen. Youhave to be your own person, and you have to find your own voiceon guitar. I think that there are so many guitar playersnowadays who are inspired by other musicians that are doing whatthey do really well and playing their style really well, butthat’s never going to go anywhere because it’s not unique. Thereare so many other people doing that same thing, so it’simportant to have your own voice. It’s also important when we’re talking about mainstream music.Because music has been made marketable, the best music is neverheard by masses. All musicians know that. It’s important to notwrite with an audience in mind, to write solely from your heart.Never write with your audience in mind. So many people writestrictly for their audience and strictly write to fit a market. You can’t put up any blocks to your creativity. Why do we wantto sound like anybody else? Why do we want to sound like anybodyelse but ourselves? Why are we in music? To express and beingable to express should require constant growth. By doing that,your sound is always changing. You have to be willing to makethat happen. David: Definitely I like that. Google and YouTube have certainlychanged the playing field somewhat. Would you agree with that?For all musicians, you can start to get a little more exposureif you go looking for it even if you’re not well known. Patrick: Definitely, I think all these tools we have today makes everybody a musician and makes everybody be able to show their work for sure which is excellent. It definitely changes a lot.It’s great that we have access to so many different musicians and have access to so much music without being forced to go out and buy the CD on a whim without hearing any of the tracks. We have everything in front of us. We can listen to what we want,hear so many different musicians, have time to hear so many more musicians, and not be taken out of a comfort zone by going to a record store and purchasing a hundred albums to find what we like. When I was searching for new music, I look at the album cover. Iremember buying a Silverchair album because the album coverlooked cool. There was this frog and whatever. I was buying CDsbased on what the cover looked like and half the time I’d gohome pretty disappointed. But then I remember I bought DarkSide of the Moon just because I thought that was a cool designand was pretty blown away. That was a good choice. David: I was just listening to Silverchair today myself. I actually doenjoy some of their music. David: But I know what you mean; they were different days. You boughtCDs for different reasons. Maybe because it was popular, maybebecause you liked one song on it. Maybe because of the albumartwork like you said. There are a lot of things that canattract people to music, the way it’s packaged. Patrick: And there was something special about having that package.There was something special about owning that. And especiallyfinding albums and owning albums that were specialty that maybea lot of people haven’t bought and you found a song that maybewasn’t a hit on an album. That song was always special to you. Idefinitely liked those times. I think in the ’90s, so much greatmusic was coming out. So many great and new sounds were coming out. The ’90s were an excellent decade. David: I have experience with that too definitely playing one of thesongs that wasn’t a popular single and sometimes finding that itwas pretty awesome. Let’s move on to talk a little bit about gear. You’re a bit of agearhead yourself. Patrick: I just started. I think with the classical guitar, you have theguitar and based on where you place your fingers, based on theangles of your fingers, you get a different tone. You have justyour instrument to work with to develop tone. I’m at this newphase in my life where I’m working on songwriting and creatingand trying to express. I think it’s important to have a lot ofversatility with gear and equipment. I started out thinking Boss pedals, they seem to be thestandard. I bought a bunch of Boss pedals, put them through, andit’s incredible how they sucked all life out of my tone. Thedistortion when put to any recording of anything I liked justsounded disgusting no matter how I tweaked the amp. The fuzz; Iwould love to see Hendrix play with that. Out of the Bosspedals, the only one I had any use for seemed to be the delayand the reverb. looked at a Radial Loopbone, it’s called. It has differenteffect chains where only the effects you’re using will be goingthrough the system. It allows me to have versatility withoutlosing tone, and I find as soon as I put more than two or threepedals in, the sound is just not worth it what you lose. Out of what I found, I first started researching a ton ofdistortion pedals, and I found the Radial one just to bephenomenal. Phenomenal. It’s got a tube in the effect pedals andhow you can tweak it, you can get vintage Jimmy Page type ofsounds, you can get Lynyrd Skynyrd type of sounds. It’s soversatile what you can do with your distortion with anythingfrom metal to blues, you can dial up a really good tone in allgenres and to have it be completely clean. I can hear the chords I play. If I strummed a chord, even on thedrive crank, I can hear the color of that chord. A full chord;I’m talking major and minor. With the Boss, I’d play a power chord and I can’t even tell what I’m playing it’s so dirty. I started playing with that and also got a Captain Coconut whichis something I used in the studio before which replicates a lotof Jimi Hendrix’s vintage guitar sounds, the pro vibe, the fuzzand the octave. It’s a phenomenal pedal. I also got into the Mobe Gear which is more for psychedelicsounds and synth sounds for the guitar. It’s great for notcutting any of the signal as well. And with the wah pedal-Ibought a custom made wah pedal that was specifically built tohave no latency. With that, I think you have to get a reallygood wah and really search for one that has been specificallybuilt because the ones we buy in the stores just don’t cut it.There’s too much noise interference with wah pedals. I have that for a set up right now. In one bank, I’d havedistortion and reverb and that’s it and in other bank, I wouldhave the more interesting effects. I’m liking the versatility Ihave and being able to. The sounds I can create are endlessright now. I’m always researching to update my rig andeverything. We have so much, with technology, we have so much touse, it’s incredible. If we know what we’re doing, music canreally advance. A lot of genres of music, even psychedelicmusic can really advance. Experimental music. It’s incrediblewhat we have, but we have to learn how to use it and payattention to it. David: The distortion pedal you’re using is the Radial Plexitube,right? Patrick: Yeah. The Radial Plexitube. David: Nice. Radial certainly seems to have an impressive line ofproducts and I’ve heard a lot of good things about them. Patrick: There’s no doubt that it’s both. There’s no doubt that it’sboth. Acoustic guitar heavily is in your hands, even more sobecause what you have is the natural tone of the guitar. Youhave the sound and it’s heavily in your hands. There’s no doubtthat both are affected. Our gear is so heavily important too,the amps we choose and where we place our amp. I’ve grown toreally respect that lately. I would even go as far as an electric guitar player it’s more inthe gear. I would love to hear Jimi Hendrix play with that Bossfuzz pedal. Saying that, performance is very important and howyou play. Definitely two guitar players will play the same riffand they’ll play completely different. David: Do you play instruments besides the guitar? Patrick: Ukulele, triangle. The viola. I’m kidding. I started playingpiano before I did anything, so I did my Conservatory up tograde six. I’ve recently been playing around with moresynthesizers and synth sounds with that. On guitar, I think that even different guitars should be adifferent instrument. Electric guitar, acoustic, steel stringand nylon should all be considered different instruments andshould be played differently. I’ve been trying to branch out. Ifyou play an E bow on guitar, it’s like playing a completelydifferent instrument. Slide guitar is like playing a completelydifferent instrument. These are all areas I’ve been branchingout to and experimenting with. Creating as many differenttechniques and styles of playing on the guitar. I’ve also been playing drums to work on my rhythm. I think it’simportant for every guitarist to really work on their rhythm.I’ve been going through a syncopation book and setting up ametronome and only focusing on rhythm. David: And you find that helps with your guitar playing as well? Patrick: A ton. It helps with the way you strum, how you space yourstrums. Little details I’ve learned make the biggest differencein the world. I usually write songs on acoustic and apply it toelectric. When you apply it to electric, how you time what youplay is such a big factor and paying attention to that is reallyimportant. And you have to have the knowledge to be able to do that; youhave to be able to apply it. If you separate things, if you makethings as minimalistic as we can, we’re practicing a lot more. Ilearned that through classical. Sometimes, I would just pluckone string with one finger, change the angle and do that for anhour because that’s what was required. I’m not discouraging people from playing guitar. You have tomake it fun, but there are times when if we are practicing bymaking things more detailed, we’re going to get more out of it.But saying that, you can only stay focused for so long whenyou’re practicing. It’s important that we’re only practicing in15 minutes of focus at a time and then going and just have fun.You’re playing the instrument to express, not to tortureyourself. David: I think that’s some good advice for sure. 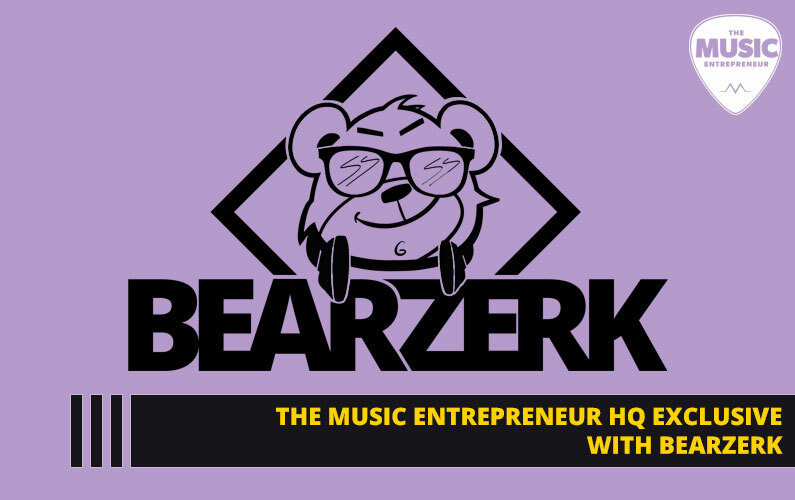 Where do you want totake your music ultimately? Patrick: I’d love to be on tour. Right now, I’m looking for a band. I’mworking with a drummer. I’m looking for all different musicianswith all different instruments for sure: bass guitars,keyboards, vocals, and I’d love to be on the road touring,finding musicians that are creative as well and tap into whatthey do and play with them. I want to be exposing my music to asmany people as possible. David: Talk about some of your musical influences. Patrick: It’s changing all the time. Lately I’ve been huge on KingCrimson and Robert Fripp. I think where they go with music, theboundaries that they’ve covered and how Robert Fripp has alwaysbeen able to change his playing to whatever singer he may bringinto the band is just phenomenal. They’ve been heavier than anyband I’ve ever heard; they have jazz influences in their music,they had a time where they were playing mainly folk musicthrough flutes and all kinds of different acoustic instruments. Throughout their career, they’ve gone through so many phases andI love that. I love bands that are just willing to adapt andchange like that. I’ve been huge on that. What else? I’ve been listening to Tom Waits lately. I think he’san interesting character. The uniqueness in his voice-you don’tsee that too often. I used to listen to strictly guitar musiclike all the classic rock and I haven’t been doing that as much. I think with an injury, I’ve been listening to a lot of soundsthat you can get out of a lot of different devices. I’ve beenlistening to Portishead a lot; I really like how the bandcreates the atmosphere. There’s a simplicity in what they do andthe vocalist comes over the top with very strong, melodic ideas,and it’s really cool. I’ve also been into electronic music, jazzmusic. It goes all over the map. The more we listen to, the morewe can draw influence from. David: I’m with you there. It just keeps changing. What I’m interestedin. All the time. Patrick: It’s not ADD, either. David: No. I think it’s a natural progression as a guitarist. Patrick: I think it’s ADD if you’re not willing to listen to more music,actually. Nothing against-you’re probably going to cut thissegment out of the interview. David: No. Not even. For me, there was even a time when metal musicjust grinded my gears, and I didn’t want to listen to it andthat’s changed over time. I’ll actually sit and listen to it. Patrick: You’ve grown to like metal? Patrick: When it’s not egotistical, I think metal music, like you lookat Malmsteen; someone’s got to get that guy and set him backdown to earth because he’s so good, but I just end up laughingat what he’s doing. It’s ridiculous. David: He’s kind of a self-caricature. David: Definitely. Let’s talk about Overture Music for a second. Tellme about your business. Patrick: Since I moved to Calgary, I’ve started teaching through acouple of studios and have found that I wanted to build my owncurriculum with teaching. I didn’t like being told what I haveto teach, which books I have to work out of, so I started tryingto find students on my own. This is about the time I firstinjured myself, so I took some time off, and I built up theamount of students I have as my wrist has healed and as I’vebeen able to play more. When you’re starting something like this, it’s important to knowwhat you’re doing, how to market yourself because you couldspend a lot of money on finding students and not get anyresponse. There are different things that work, and I’m notgoing to go too much into giving tips here, because somecompetitors might be listening. But it’s really great. I’m my own boss. I now have between 40and 50 students; I’m trying to get to 50 and capping it there.I’m getting students in all interests and all different types ofmusic as well, and I take all of the technical and theoreticalelements I’ve learned through my training, but also make surethat each student of mine is unique and ends up and that I’mable to adapt to that as well. It’s also cool; being your own boss, you get to have your ownevents. There is this great pleasure in running your own recitaland MCing your own recital and being in control of that.Workshops are a huge part of the business as you know. Youtaught one last year and we’re having you out again this year. David: Looking forward to it. Patrick: Bringing workshops into your business is really cool havingcomplete control. I love that. Complete control over what Iteach and control over all the other elements of it as well. David: And being a guitar teacher myself I totally know where you’recoming from on a lot of that and having to going on thisparticular studio’s curriculum or whatever is kind of a toughthing to convey to students when they’re more interested inplaying something popular, Green Day, as opposed to working onsomething classical or trying to learn to sight read for thefirst time. It takes a lot of effort. Patrick: I think you need to really balance from a lot of differentareas. Sometimes you’re going to lose a student if you don’tmake the lessons fun. You have to be willing to adapt to that.Throw the books away. It’s not important. For some students it’sjust developing interest in music and that’s all you can do. Andas you know, they progress. They’re going to be more open mindedto reading music and understand the importance of it. David: This is always a big question, what is your opinion on thecurrent state of the music industry? David: Support the local scene. Patrick: Even rock music, what’s being played on rock stations, it’shorrendous. Intervals that are being used in music, seems to bethey are less and less welcomed. Power chords and major minorand there’s not a lot of interesting guitar in music. There’s noroom for it. Saying that, we had this discussion earlier, and you made somereally good points which I’ll let you share since it came fromyour mind. I am very optimistic about the future of the musicindustry. David: What were some of the things I was talking about? Refresh mymemory. Patrick: You don’t remember? Just that the music industry isn’t incorporate hands like it used to be. There’s not as much of abuck. It’s very affordable for us all to record on our own andget our music out there on our own and slowly, the musicindustry is being put in the hands again of musicians. It’svery, very true and it’s taking a great change. Downloading isgreat. It’s done wonders. David: I definitely see that happening gradually and more and more astime goes on and as album sales decline which isn’t the entiretruth; actually, indie sales are up according to reports thatI’ve seen. However, mainstream albums are down so the corporatetypes are going to have a hard time because if they don’tactually have passion for the music, they’re simply in theindustry for the money. Which isn’t to pass judgment on them;you have to find a job. Everyone’s got to make a living. Patrick: There’s been some scary statistics too like in Canada, there’sa thousand bands signed a year and only two or three end upmaking a profit with what they do. That’s scary. David: I’ve seen a lot of colleagues and bands that still work dayjobs despite the fact that they’re well known, and I’m not goingto mention their names, but despite the fact they’re well knowneven across the US and Canada. Patrick: So there you go. Don’t try to be a star. Be yourself. Patrick: Stop watching American Idol. I’m going to get hate mail forthis. David: If that’s what you like, go ahead and watch American Idol. Ifyou want to find stardom and fandom, you can go ahead and do itthat way too. Patrick: There’s a one in a billion chance you’ll win the darn thing andthen win you do, they throw you in the dirt. David: They’ve put you through the ringer already at that point,right? You already have some live experience, you already havesome touring experience. 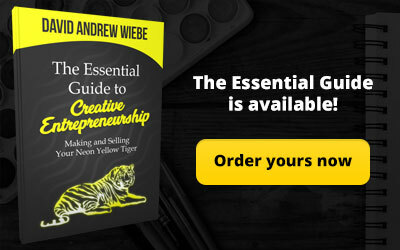 You already have a lot of what theyneed to package and market later on. If you think that’s the endof it, probably not. It probably only gets harder from there.More touring. Patrick: Saying that, there are a lot of talented folks on the show, andI’m not discrediting that for sure. I’m just discrediting theidea behind it, and it’s not the people singing and doing whatthey’re doing, it’s the whole nature of the show that bugs me. David: I hear that. I understand where you’re coming from. 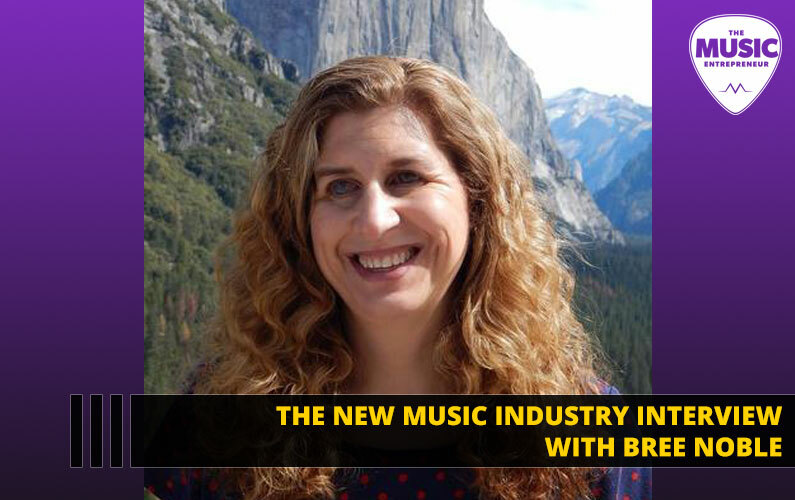 So where do you see the music industry headed? Patrick: I’m not a fortune teller. I really put a lot of thought into it. I read statistics that there will be a lot more jobs in musical fields in the future. I really hope that there is going to be a lot of opportunities for people with original work for performing and recording the future because I think it’s a great job and I think a lot of people are meant to be doing that. David: We’re going to take a little bit of a break from all of our yapping, but tell us a little bit about the song that you’re going to play here for us today. Patrick: It’s just a bunch of ideas. It’s actually the first thing we recorded on Pro Tools ever so we haven’t even gotten through the instructional DVD yet. David: Not the entire thing. Patrick: Just an unstructured without vocals, bass, or drums right now.We’re just experimenting with Pro Tools, and it’s just a song I was working on. David: All right, here it is. Hi, everybody. This is David Andrew Wiebe. 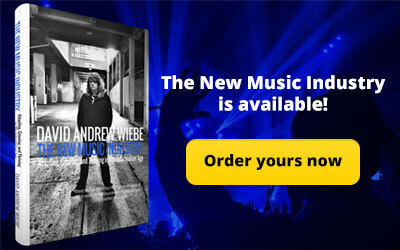 You are listening to the David Andrew Wiebe Podcast. Thanks for tuning in today and listening to us yap away. I’ve got some more questions for Pat.My first question for you is what are your thoughts on the local music scene? Patrick: Too much country. Exclamation mark. I’m kidding. I like countrymusic. So thoughts on the local music scene: I think there are a lot of great acts out there and a lot of great acts that havecome from Calgary in the last couple of years and have foundsuccess and been able to tour and have done some wonderfulthings. niche, very one sound. It seems like everyone is trying to fitthis niche; everyone is trying to sound like somebody they’renot. That I have a problem with. really welcoming to a lot of musicians who are there to express.I’ve seen some people get up and put their full heart into whatthey did and no response. Nobody else came and talked to them.But as soon as somebody plays a Johnny Cash cover-I love JohnnyCash-but as soon as somebody plays a Johnny Cash cover, thewhole audience is into it. That’s why I left playing classical music; I don’t want torelive the past. I want music to grow and people have to bewilling to let music grow. And bars have to be willing to acceptartists that might sound a little bit different and are a littlemore unique and artists especially that have a huge passion forwhat they do. David: Yeah. It can be a pretty odd scene that way. I’ve been pluggingaway at this for ten years, close to anyway. And there are stilla lot of times you’re not necessarily recognized or known, andyou can’t take it personally. You just have to keep at it. Patrick: You can’t take it personally. It’s not the recognition that’snecessarily a problem here. I just find that a lot of people areplaying music for the wrong reasons. They’re doing it to showoff. They’re doing it to just fit in, and it’s not why we playmusic. I think a lot of people need to reevaluate why they’redoing it. It’s incredible. You don’t even have to be a greatguitar player or singer; I’m not about that. I’m not beingsnobby in that way. You take somebody like Leonard Cohen whojust says some of the most beautiful things with his lyrics andhis poetry. Half decent voice, half decent guitar playing, and Icould listen to that all day because he’s saying it like it is;he’s expressing himself. David: And that’s an important aspect of songwriting, right? Beinghonest with yourself and who you are? Patrick: Definitely. Not to make things all bubble gummy and just toplease. You can conform and please and try to have fun, or youcan really dig deep and create and grow. 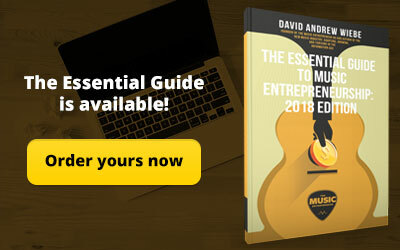 David: How important is it for a musician to network with a variety ofpeople? Patrick: Oh, it’s important. We learn so much from other musicians.Everybody we play with, everybody we work with, everybody wetalk to, every conversation we have relating to music. It’sincredible how it changes how it changes our opinions. Evencriticism we get from other people-once we’re past taking itpersonally, it helps us grow. It’s very important to play with alot of musicians and to be open-minded to that and to bewelcoming. There’s so many singers out there that want to please everyone and as soon as another member comes in, a drummer or bass player, they just want them to fit that mold. It’s like, respectthose artists. They’re not here for your vision. They have tofit your vision. It’s very important to network and to beaccepting of everybody you play with. David: That seems to be such a huge lesson as a musician; understanding what it is to be something and someone else and as musicians, we get into this place where maybe we judge or look at them in a certain way and we think why are they doing that? But ultimately, you want to come to a place where you don’t take things personally, and you just enjoy them for what they do and enjoy yourself for what you do. 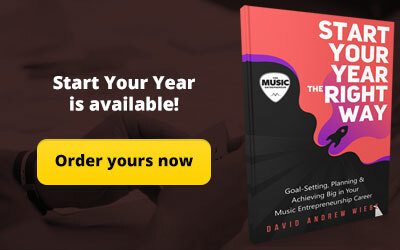 David: It can be difficult for musicians to prioritize their time. 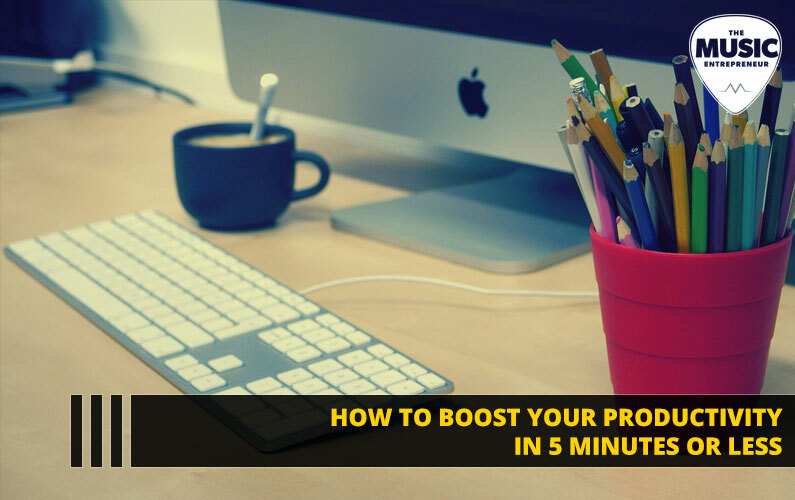 How can you best balance their practice time, promotion efforts, and daily responsibilities in your opinion? Patrick: I’m someone that played too much. I’ve been tired from practicing too much. We can’t stress about it, we just have to be. We can’t set out a big set of guidelines for how we’re supposed to go about it; we just have to do it. It’s when we’re not stressed out that we create our best work and that we’re able to do the most. I’m learning not to stress about prioritizing or anything. You make a schedule. With the technical things like Pro Tools, it’s not very fun watching those instructional videos, so you have a beer and you get past that. It’s important to make sure that you’re getting together with the band a lot and that you’re enjoying what you’re doing. If you’re enjoying what you’re doing, you’re going to make it a priority. It’s as simple as that. If there’s conflict and you’re not enjoying it, you have to evaluate why. Bands break up for so many reasons and everything has to fit. It’s important as a band and with other musicians that you talk about the problems you may have; just get everything out there. That’s the only way it works playing with other musicians. David: I find you can get burned out pretty quickly when you sit downand say, “Okay. I need to practice three hours a day and this is the time slot I’m going to do that in and spend an hour onpromotion.” It’s good to have some kind of structure, but ultimately, it’s hard to maintain something like that. Patrick: Like if my girlfriend or my mom called me during a time when I was practicing, I wouldn’t answer. Patrick: It was obsessive. It wasn’t healthy. David: You can’t live when you’re doing that. Patrick: You can’t live like that. It’s not why we’re playing. We’re not playing to be-it’s important to be technical; it’s important to work hard. This is a career. It has to be taken seriously. But like anybody’s career, they should be enjoying what they’re doing. Ultimately, if you’re not enjoying it, you have to evaluate why. And no offense, nobody enjoys practicing four hours straight, five hours straight, six hours straight. It’s not fun. David: If you get to thinking about so many things too, if your thoughts wander, like mine often do. I have a strong imagination. Patrick: It’s a way of numbing yourself playing that long. If your thoughts are wandering, find out why they’re wandering and express what that is; write a song. David: That’s a good point. Patrick: Find the chords that go along with that imagination. That’s why you’re a musician because you have imagination. David: That’s really good. What can we expect from you in the future; coming days, coming weeks, coming months? Patrick: I think I’m going to give up everything and become a bum. Or a pimp, I don’t know. One or the other. David: I think we just jumped up to PG-13, but that’s all right. Patrick: What can you expect? I’m not in a hurry to do anything. I’m trying to find the right members for sure. I’m not close-minded about which members I have. I don’t have a certain vision of whothey might be, it’s just finding the right members, finding the right people to play. There’s my phone ringing. David: It happens. It’s your mom or your girlfriend. Patrick: Distracting me. I can’t answer that. There we go; it’s done. What was the question again? David: The question was what can we expect from you in the future with your music? Patrick: I’m not going to rush. 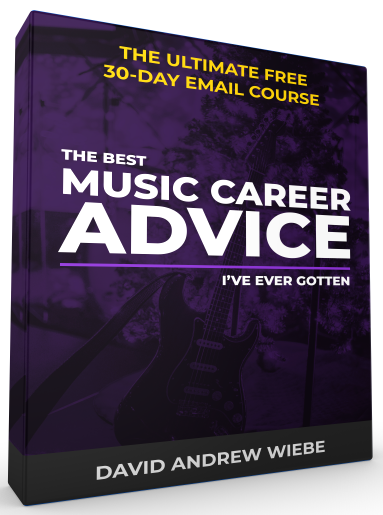 I’m making sure I find the right members for sure, and even if I’m not jamming with a band and workingwith other musicians, I’m still growing as a musician. I’m still working toward my goals on my own by creating sound by writing. I have a ton of songs written; I’ve been writing melodies. Saying that, I expect that when other members come in, the sound is going to change a great deal and I’m open to that aswell. I want to find musicians to play with. People with the same passion. What a horrible ringtone. You’d think being a musician that I’d have something cool on there, but I got this $40 pay as you gophone. It doesn’t really allow for many ring tone options. David: What ringtone did you pick? Patrick: I think it’s just the default one that’s on there right now. On my old phone, which got wrecked in Canada Post. It was a$200 or $300 phone. I had some pretty cool ringtones on it. I had the Mega Man 2 and Mega Man 3 themes going and all the regular Nintendo, so it was pretty cool. I’m missing that for sure. David: Cool. This is the David Andrew Wiebe Podcast folks. We get all kinds of happenings. You just never know when you get to talking. You’ve probably heard the furnace trying to go on and off here a couple times too, but it’s all good. We’re probably going to wrap things up here, but do you have any final remarks for the podcast? Patrick: No, I think we’re hitting the hour mark here, so I think we should wrap things up pretty quickly. If you’ve endured this interview, congratulations. Hopefully, you got something from it. David: I think it’s been great. I think it’s been very informative and we’re looking forward to having you on the podcast again in thenear future. David: Cool. You’ve been listening to the David Andrew Wiebe Podcast broadcasting from Calgary, Alberta, Canada.